The horse industry is a very large and important part of our national, state and local economies. It is diverse, involving agriculture, business, sport, gaming, entertainment and recreation. There are 9.2 million horses in the United States. 4.6 million Americans are involved in the industry as horse owners, service providers, employees and volunteers. Tens of millions more participate as spectators. 2 million people own horses. The horse industry has a direct economic effect on the U.S.of $39 billion annually. The industry has a $102 billion impact on the U.S.economy when the multiplier effect of spending by industry suppliers and employees is taken into account. Including off-site spending of spectators would result in an even higher figure. The industry directly provides 460,000 full-time equivalent (FTE) jobs. Spending by suppliers and employees generates additional jobs for a total employment impact of 1.4 million FTE jobs. The horse industry pays $1.9 billion in taxes to all levels of government. Approximately 34% of horse owners have a household income of less than $50,000 and 28% have an annual income of over $100,000. 46% of horse owners have an income of between $25,000 to $75,000. Over 70% of horse owners live in communities of 50,000 or less. There are horses in every state. Forty-five states have at least 20,000 horses each. 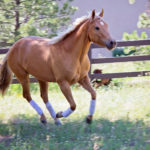 The study concludes that there are 9.2 million horses in the U.S., including horses used for racing, showing, competition, sport, breeding, recreation and work. This includes horses used both commercially and for pleasure. “Other” activities include farm and ranch work, rodeo, carriage horses, polo, police work, informal competitions, etc. 4.6 million people are involved in the horse industry in some way, either as owners, employees, service providers or volunteers. This includes 2 million horse owners, of which 238,000 are involved in breeding, 481,000 in competing, 1.1 million involved in other activities, 119,000 service providers and 702,000 employees, full- and part-time and 2 million family members and volunteers. That means that 1 out of every 63 Americans is involved with horses. The study documents the economic impact of the industry in terms of jobs and contribution to the Gross Domestic Product (GDP). The study’s results show that the industry directly produces goods and services of $38.8 billion and has a total impact of $101.5 billion on U.S. GDP. It is strong in each activity with racing, showing and recreation each contributing between $10.5 and $12 billion to the total value of goods and services produced by the industry. The industry employs 701,946 people directly. Some are part-time employees and some are seasonal so this equates to 453,612 full-time equivalent jobs. The results of the study show that the horse business is a highly diverse industry that supports a wide variety of activities in all regions of the country. It combines the primarily rural activities of breeding, training, maintaining and riding horses with the more urban activities of operating racetracks, off-track betting parlors, horse shows and public sales. The study dispels the misperception that the horse industry is an activity only for wealthy individuals. In fact, the horse industry is a diverse activity with stakeholders including recreational and show horse riders, and moderate-income track, show and stable employees and volunteers. 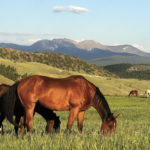 The Colorado horse industry produces goods and services valued at $956 million. The national industry has a $1.6 billion impact on the Colorado economy when the multiplier effect of spending by industry suppliers and employees is taken into account. Accounting for off-site spending of spectators would result in an even higher figure. 102,400 Coloradans are involved in the industry as horse owners, service providers, employees, and volunteers. Even more participate as spectators. The Colorado horse industry directly provides 5,800 full-time equivalent (FTE) jobs. Spending by suppliers and employees (in Colorado and other states) generates additional jobs in Colorado for a total employment impact of 21,300. 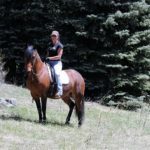 There are 256,000 horses in Colorado, over 70 percent of which are involved in showing and recreation. There are 698,000 horses in California, over 70 percent of which are involved in showing and recreation. Recently released is architect Michael G. Imber’s book, Michael G. Imber: Ranches, Villa’s and Houses by Elizabeth Meredith Dowling. While Michael’s homeland and most of his creations are in Texas, anyone with an appreciation and love for architecture that blends, efficiently utilizes, compliments, enriches and works with the land and its heart will appreciate his work. 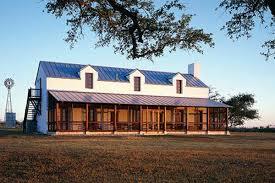 In 2013, Michael G. Imber’s firm was awarded two John Staub awards for Residential Architecture.